The BBC have a new story taking on the so-called “Miracle Mineral Supplement” in ‘Miracle autism cure’ seller exposed by BBC investigation. MMS (AKA chlorine dioxide, CD, or part of a so-called “parasite protocol”) is a bleach solution produced by mixing two chemicals which are sold separately and manufactured often in rather dubious factories. Case in point, the BBC tested the chemicals they were given and found they were much stronger than labeled. Through his website, Mr Edwards, who says he is not attending the conference, sold the researcher the one bottle of liquid labelled as 22.4% sodium chlorite and a second labelled as 4% hydrochloric acid. When the BBC sent the chemicals to Kent Scientific Services, an independent laboratory, they were found to be 57% and 45% stronger than the advertised concentration respectively. The BBC approached a seller of MMS and purchased the chemicals. The person selling MMS, one Leon Edwards, made the usual huge claims: it cures malaria, HIV, cancer and, of course, autism. Of course they don’t say “cure”, they say in this case “purge”. MMS is a scam, plain and simple. It is sold as a cure to autism parents for use on their disabled children. The sales pitches present it with the usual approach: claims of children “recovered” together with some scienc-y sounding discussion to make it seem legitimate. And, of course, if you blame vaccines for autism and claim your product somehow heals vaccine injury, you will get nothing but support from a vocal group of autism parents. Fiona O’Leary–an autism parent–is quoted in the story. She’s been a major advocate for autistic kids through her efforts to expose MMS. Fiona O’Leary, a mother of two autistic children, is a leading campaigner against MMS. She warned: “This has been offered as a cure for autism in 60 countries. “What worries me is people normalising this treatment – it does not even warrant the word treatment, autism is not a ‘disease’ that you can ‘cure’ with bleach. You know, “Dr. Bob”, minority health disparities are HUGE in the autism community. Robert “Dr. Bob” Sears is advertising himself again on the TacaNow blog. He’s telling us all about how he was an early adopter on biomed approaches to autism and how it’s all about listening to the parents. He tells us about how it all started with a parent asking for a prescription for an antifungal. No discussion of actually testing the kid for a fungal infection, just the standard story: parent asks, DAN doctor writes prescription story, DAN doctor takes credit for any gains, and no mention ever of any adverse reactions. So, clearly, a case of same old/same old. So why write about it here? Because once again “Dr. Bob” shows how out of touch he is with the needs of the autism community. Oh, sure, he knows what parents at conventions like AutismOne want to hear (snarky remarks about vaccines and, you, the parents are always right). But what is one of the biggest problems in the autism communities right now? And has been for, well, ever? Disparities in diagnosis and access to treatment. Here’s an example: racial and ethinic minorities are vastly under diagnosed and under served. In my state (same as “Dr. Bob’s”) if you are Hispanic, you are about 70% less likely to get special education services under the autism label as if you are white. I’ve plotted it out for my district that that ratio has remained basically constant for the past 14 years (as far back as the data are available). I’m sure “Dr. 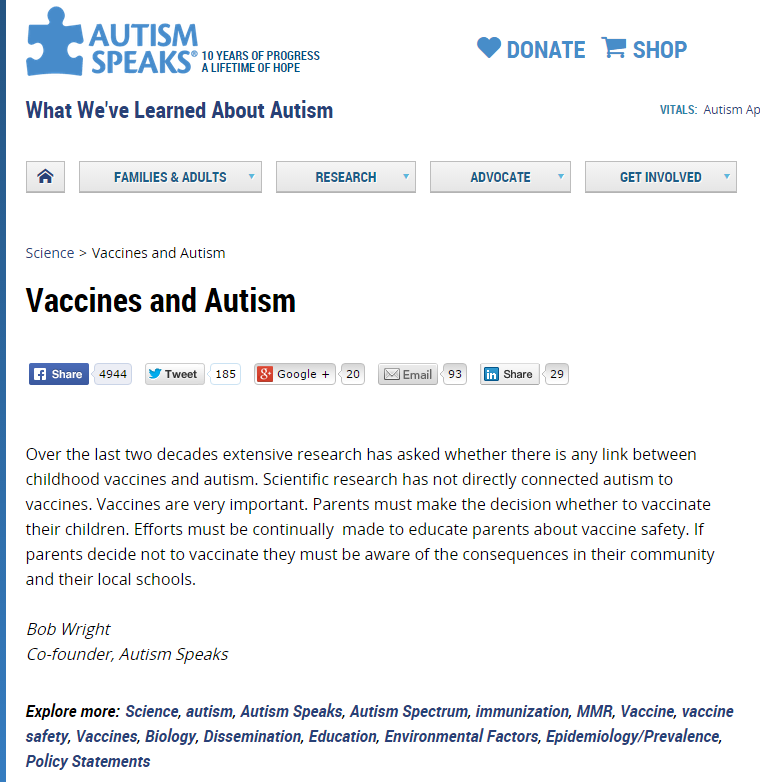 Bob” can rattle off the latest CDC autism prevalence figures, or at least some of them. But if one actually reads the report, what does one find? with ASD than non-Hispanic black children and were almost 50% more likely to be identified with ASD than Hispanic children. Yet, there is a shadow over all this success: April was supposed to be Autism Awareness Month. Did anyone even know? I checked the CDC website, and they proclaim April to be National Minority Health Month, with the catch phrase “Learn about CDC and HHS efforts towards eliminating health disparities,” as if THAT is the most important health crisis facing America today. If “Dr. Bob” really believes that biomedical approaches are so helpful, why discount the need for outreach to minorities? Really, we have a HUGE problem with under diagnosis of autism in California among minorities. But you seem unaware of this. One does wonder how many minorities, especially those with low incomes are served by the Sears clinic. I grew up in “Dr. Bob’s” home, Orange County, going to school along side farmworker kids. There’s a huge population of underserved minority kids there. As an aside, here’s how one does an internet search, “Dr. Bob”. Top hit is Announcement: Autism Awareness Month and World Autism Day — April 2015. But that’s an MMWR (Morbidity and Mortality Weekly Report) from the CDC, and as a doctor you must follow those, right? Especially since the MMWR’s include, say, information about the recent California measles outbreak which you downplayed. Here, while we are at it, let’s do another google search. The word “minority” on the “Dr. Bob’s” family website (askdrsears.com). Gee, 5 hits. One on how only a minority of families skip the MMR vaccine. Only one on racial/ethinic minorities, an article on lice. No hits for “Hispanic” on the Sears family website. “Dr. Bob”, if you want to pretend to speak for the autism communities (you don’t), at least show us the respect of acknowledging one of the big issues in our community: under served and under diagnosed populations. Of course, to acknowledge these points you have to also acknowledge that autism isn’t always diagnosed, and that we need awareness to get diagnoses and services to these communities. Seriously, “Dr. Bob”. Get out of the corner of the autism community you profit from and take a hard look at what we really need. comment on: When an Early Diagnosis of Autism Spectrum Disorder Resolves, What Remains? When an Early Diagnosis of Autism Spectrum Disorder Resolves, What Remains? The abstract is below, but in this study group there were significant gains in a subgroup and a loss of ASD diagnosis. The subgroup had much less intellectual disability on follow up. And they also had a number of other disabilities and support needs. Most still had some diagnosis, if not ASD. Most were still getting some level of extra support in school. BACKGROUND: It has been documented that some children with early diagnosis of Autism Spectrum Disorder (ASD) do not meet criteria for the diagnosis at a later age. It is unclear, however, if deficits remain after ASD symptomatology resolves. OBJECTIVE: To characterize residual learning, cognitive, emotional/behavioral diagnoses and educational needs of a group of children with early ASD diagnosis that resolved. DESIGN/METHODS: Review of 38 children diagnosed with ASD at a University-affiliated inner-city early intervention program 2003-2013 who had follow up evaluation indicating resolution of the original ASD diagnosis. The group represents 7% of the 569 children diagnosed with ASD by the program during this period. Original and follow up diagnoses were made by an experienced multidisciplinary team based on DSM-IV criteria, Childhood Autism Rating Scale(CARS) and/or the Autism Diagnostic Observation Schedule(ADOS). All children had re-evaluation an average of 4 years later. Initial cognitive level was based on the Bayley, and follow up on WPPSI, WISC, or Stanford Binet. Data collected included: demographics, cognitive level, CARS, diagnoses and services originally and at follow up. RESULTS: Mean age at initial diagnosis 2.6±0.9y and at follow up 6.4±2.8y. 80% male; 44% Hispanic, 36% Caucasian, 10% African American; 46% had Medicaid. Mean initial CARS 32±3 and at follow up 25±4. The initial ADOS (21/38) categorized 29% as autism and 67% ASD and was negative at follow up when available (23/38). On initial cognitive testing (29/38): 33% with intellectual disability, 23% borderline, 44% average. At follow up (33/38): 6% borderline, the rest average. At follow up, 68% had language/learning disability, 49% externalizing problems (Attention Deficit Hyperactivity Disorder, Oppositional Defiant Disorder, Disruptive Behavior Disorder), 24% internalizing problems (mood, anxiety, OCD, selective mutism), 5% significant mental health diagnosis (psychosis.nos), and 8% warranted no diagnoses. 26% were in mainstream academic settings without support and 13% with support, 29% in integrated settings, and 21% in self-contained classes. CONCLUSIONS: When an early ASD diagnosis resolves, at least in the early years, there are often learning and emotional/behavioral diagnoses that remain. Understanding the full range of possible outcomes is important for parents, clinicians, and the educational system. Is Andrew Wakefield’s Strategic Autism Initiative failing? When Andrew Wakefield left Thoughtful House he set up a charity, the Strategic Autism Initiative. Interestingly even now, years after it was founded, it appears to have no website or Facebook page. What it does have is tax forms because every charity must make those public. Last year when I looked these tax forms, a few points became apparent. Most of the money the SAI had taken in (58%) had gone to salaries, with the lion’s share of that going to Mr. Wakefield himself. In 2012 more money was spent on salaries that was taken in. SAI appears to have two employees, Andrew Wakefield and Terri Arranga. Here are the contributions to the SAI, Mr. Wakefield’s salary and Ms. Arranga’s salary for the years 2010, 2011, 2012. It is worth noting that the SAI was formed towards the end of 2010, hence the low salaries for that year. 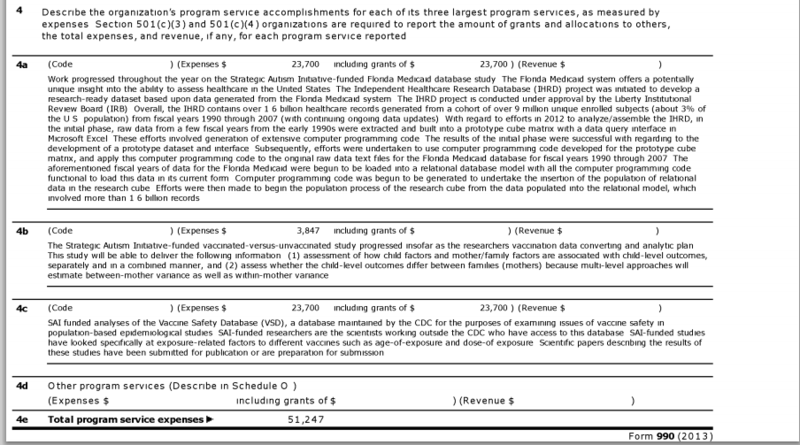 Strategic Autism Initiative 2013 tax form. Gross receipts: $50,498, down from $113,501 for tax year 2012. A drop of over 50%. The SAI ran a deficit of $97,514, nearly twice what they took in. Mr. Wakefield took no salary, Teri Arranga only $5,000. The SAI only had $21,396 in assets at the end of the year. In short: the SAI appears to be failing. OK, in terms of benefit to the autism communities, the SAI has continually failed. 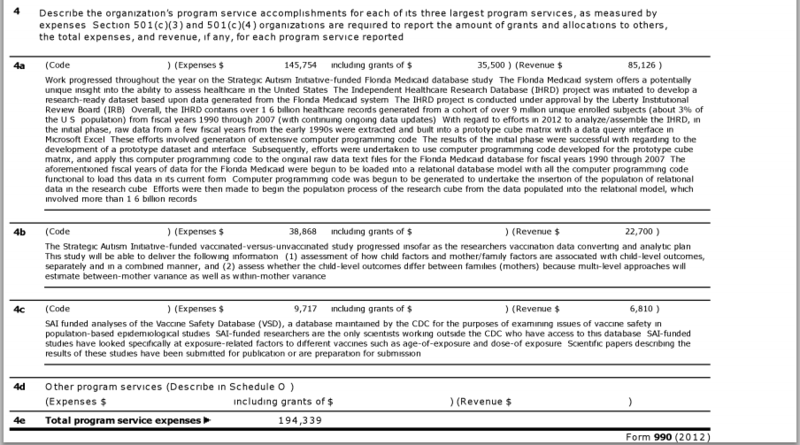 Below are the “program service accomplishments” for the SAI in 2012 and 2013. Program services are the heart of what a charity is doing. Well, a standard charity. That said, ignore the money amounts listed and tell me if you can see any difference in the text. It looks to me like they copy and pasted the accomplishments from 2012 into 2013. If I wrote the same accomplishments one year to the next, my management would likely let me go for accomplishing nothing in a year. This tax form–the most recent one available–is from 2013. We will have to wait for the 2014 form but if this trend continued, the SAI is either failing or has failed as an organization. 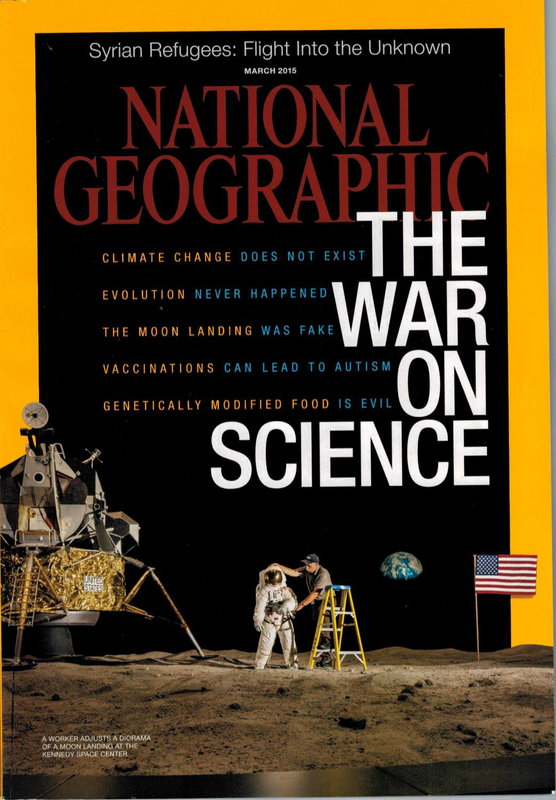 In case you are having trouble imagining my reaction–it includes a big THANK YOU to National Geographic. Yes, they put “vaccinations can lead to autism” up there with “evolution never happened” and “the moon landing was fake”. This paragraph includes references to Jenny McCarthy (anti-vaccine activist and actress Jenny McCarthy) and Andrew Wakefield’s Lancet article.